The film opens in Egypt. A Pharaoh of old wages war on one of the last of the wild clans. It’s less of a battle and more of a slaughter. Men, women, and children alike are cut down without mercy. All but one. An undersized child with pale gray skin sits among the chaos. A soldier approaches him and lifts his sword. The child grabs him and drains his life force. He walks down the Pharaoh, killing soldier after defending soldier until he reaches him and grabs him by the head. As the Pharaoh’s soul is ripped from his body, the child begins to take on his characteristics, color filling his pale skin. He is the Pharaoh now. But the army will not accept it. They trap him and bury him alive deep within one of the pyramids, never to be found. President Trask receives news of the X-men’s continued activity, but is unconcerned. He knows it’s only a matter of time before the tiny group of rebels is caught. He has bigger fish to fry, namely delivering Sentinels to countries around the globe in their war on mutants. Beast catches wind of this plan and knows it will cripple the mutant resistance, but Magneto refuses to act. He has his own plan to seek a potential ally who could change the balance of power. Beast calls for a group to attack in spite of his orders and Magneto assures him they will not come to their rescue this time. Beast and his splinter group infiltrate the Sentinel dispatch center only to find there are thousands more than they originally thought. A nuclear-powered Master Mold has been producing them faster than ever. They know it must be destroyed, but barely damage it and at a heavy cost. Only Beast escapes with his life and the fleets of Sentinels launch anyway. 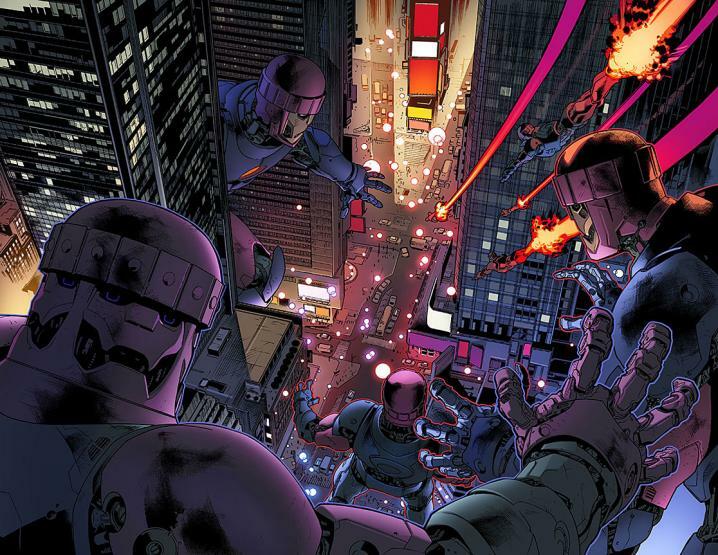 The Sentinels arrive in their respective countries and immediately begin killing mutants by the dozens. There is a collective outcry around the world as thousands, even millions of mutant voices are stifled. Deep within the confines of an ancient sarcophagus…. their prayers are heard. En Sabah Nuhr bursts from the pyramid, empowered by the millennia of imprisonment and the need of his people. Hundreds of Sentinels respond to the power spike, but their weapons are useless against him. He crushes the opposition much like the scene from his past. Cameras capture the image and in an instant, he becomes a beacon of hope for all mutantkind. Magneto knows his chance has come. He prepares his X-men to meet with this mutant savior as Beast stumbles in. Magneto doesn’t take news of the Master Mold or the splinter group’s deaths well. 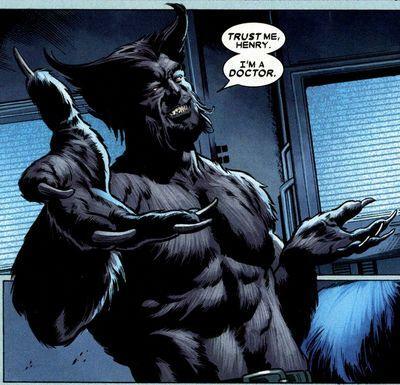 If Beast had followed his lead, they would all still be alive and on their way to a new world for mutants. Beast can’t argue. The X-men fly off in the long-dormant Blackbird to join with En Sabah Nuhr. President Trask goes into lockdown mode, withdrawing American Sentinels from across the country into defensive position around him. He sends Master Mold into overdrive, building his robotic army as fast as possible. Rebel mutant groups begin to gather across America. His leadership is starting to come into question. The X-men arrive to find the pyramids teeming with mutants, a veritable kingdom of mutantkind with En Sabah Nuhr as their emperor supreme. The X-men are welcomed with enthusiasm, their efforts to thwart Trask well-documented. Beast remarks that the mutant utopia is like a glimpse into the future and laments Xavier is not here to see it. Mystique reminds him that her adoptive brother saw humans and mutants together, not separate and at war. Mystique has been eavesdropping and leaps in to his defense. They escape and rush to gather the X-men. They have to battle their way out, mutant guards swarming after them from all sides. They’re able to pilot one of the reprogrammed anti-Sentinels out, but a weakened Beast gets left behind. The self-appointed “Apocalypse” interrogates his X-men prisoner, asking him for information on the Master Mold. He tells him of his plans to conquer America and divide it among his best four lieutenants, that his mutant brain and prowess could make him one of them. Beast refuses. Apocalypse assures him he doesn’t need his permission and grabs him by the head. Magneto and the X-Men land in America and try to regroup, but his leadership is now heavily in question. He tells them what Apocalypse is planning to their dismay. They realize there’s only one way to stop the coming devastation — by helping President Trask. They turn themselves in on the White House steps. Apocalypse flies his army on anti-Sentinels to the site of the Master Mold. He has taken on a distinctly blue skin color. He arrives to find Magneto waiting for him. He gives Magneto one last chance to come to the winning side. Magneto says he knows America is lost, but there’s still hope for humanity. Trask’s hundred-thousand Sentinels launch, carrying hundreds of humans each, headed across the sea. 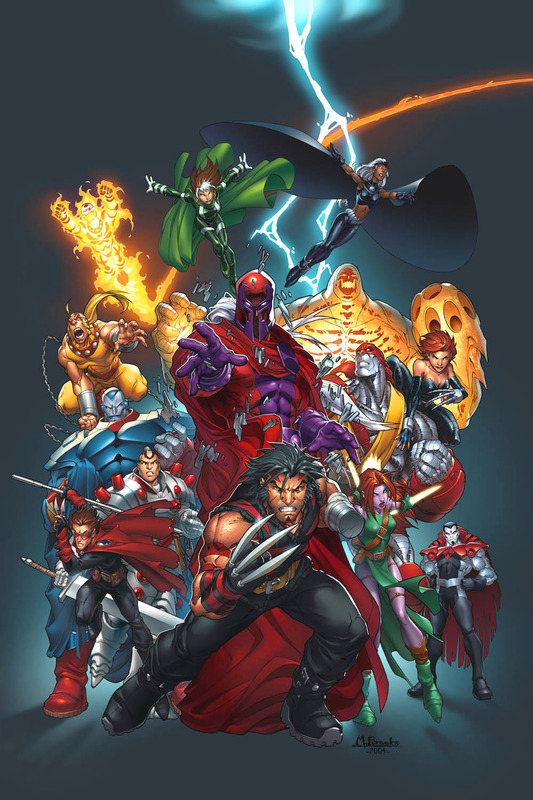 Apocalypse signals to shoot them down, but Magneto reaches out with his powers and disables the anti-Sentinels, bringing the mutant army crashing to the ground. 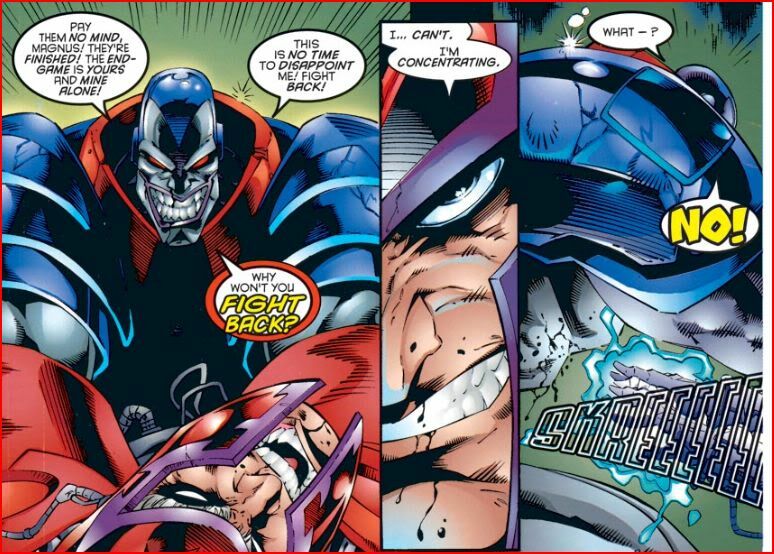 Apocalypse, still retaining Magneto’s power, engages him in an airborne battle. On the ground, much of Apocalypse’s army still survives. Some attack the Mutant Mold compound while others take flight after escaping passenger Sentinels. 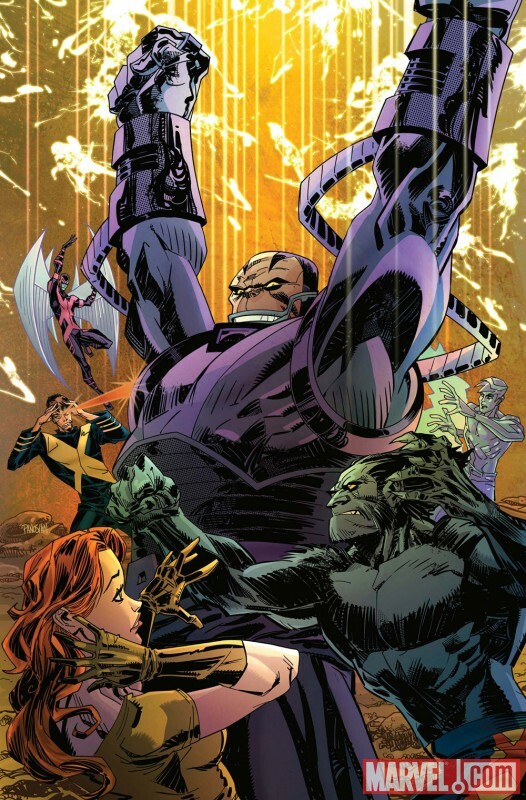 The X-men leap into action, some fighting off attackers on the ground and others defending Sentinels in the air. Mystique feels something amiss and enters the compound. She finds a paler, grayer Beast holding President Trask. She tries to reason with him, but he’s beside himself. He wants revenge for their fallen friends, and for Charles. Mystique transforms into Charles: “I am here. I’ve always been here. And I always will be.” Beast drops his guard just enough for Mystique to get Trask away from him. A fight of speed and agility ensues as Trask scrambles to reach the Master Mold’s controls and Beast chases him with Mystique knocking him away at every turn. The fight between Magneto and Apocalypse ravages everything around them as they toss beams and entire buildings at one another. They direct Sentinels and anti-Sentinels to attack and toss them aside in kind. As it rages on, Magneto finds himself weakening. X-men come to his aid but Apocalypse dispatches their attacks easily. Inside, Beast corners Trask. Mystique tries a sneak attack but is caught. Beast laments that she was always too predictable, that she can’t save Trask like she couldn’t save Charles. Trask retorts that no one can save him, that it wasn’t the plan. He sets the Master Mold to self-destruct — it’s just become a nuclear timebomb. Beast is dismayed and runs. Mystique tells Trask they have to hurry, but he refuses: “I can’t atone for my sins, but I can at least die for them.” She leaves him to his doom and runs. A blinding white flash envelops everything. Magneto watches in slow motion as it swallows Apocalypse and comes for him. He welcomes it. And wakes up, still enveloped in white. Everything as far as the eye can see, white. He gets to his feet and turns. Waiting for him is Charles, sitting at a chess table, informing him that it’s his move. He takes a seat, incredulous. All at once the words come spilling out, apologies and explanations and questions. Charles smiles tells him again that it’s his move. Still he sputters on about how he was a terrible leader for the X-men and couldn’t fill his shoes, that everything feels wrong: “The world is broken. And I don’t know if it can be fixed.” Charles smiles once more and tells him: “Erik, it’s your move.” and disappears. The table disappears. The whiteness around him fades. And Erik wakes up in Mystique’s arms. They’re in the Mansion, saved by the young mutant girl Beast and Mystique saved from the Sentinel. She’s a teleporter. The X-men are alive and well, their plan worked: Master Mold is destroyed, Trask dead, and the east coast evacuated. Most importantly, Apocalypse is gone. There is much work to be done to repair human-mutant relations, but Magneto is ready. The X-men are ready. But wait…. as Beast and the mutant army return to search the smoldering ruins of the city, a figure emerges…. Apocalypse. Alive and well.